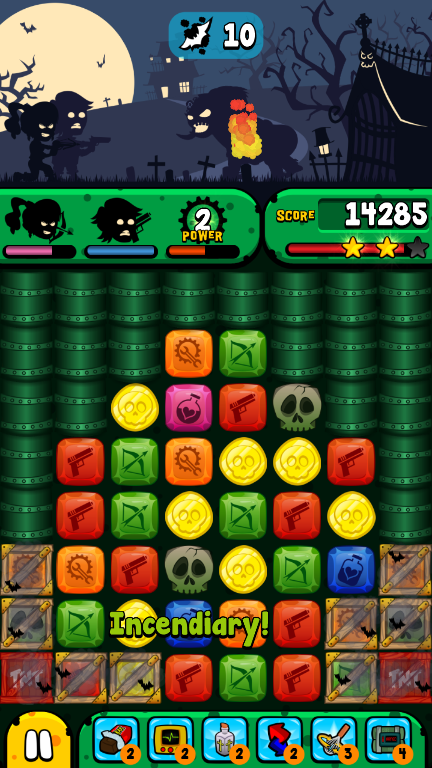 Match 2 Kill is a free-to-play mobile puzzle game belonging to the so-called match-3 casual games genre. 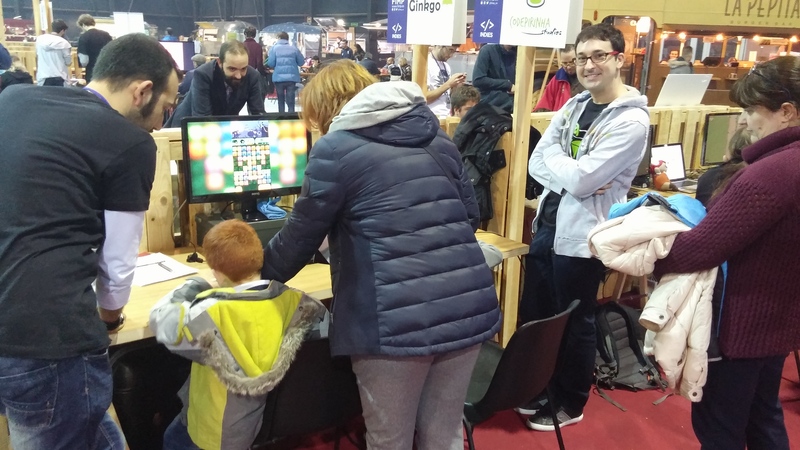 The basic gameplay mechanic of these games involves swapping adjacent objects from a seemingly chaotic board in order to create sets, either horizontal or vertical, of three or more identical objects. Upon doing so, the matched objects disappear and new objects fall down from the top of the board to replace them. This may produce additional chained matches (combos) that will get removed from the playing area in the same manner. 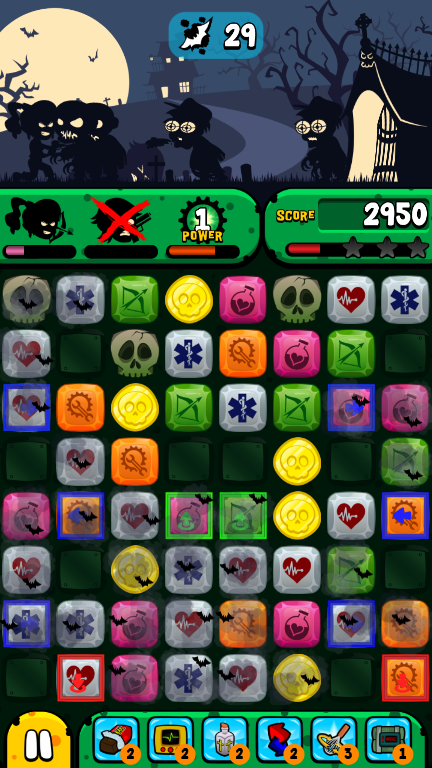 However, unlike most games in the genre, which showcase turn-based and exclusively board-centric gameplay, in Match 2 Kill combinations directly affect the actions carried out by the main characters, who are fighting real-time against hordes of adorable little monsters that want them to fail in their mission. In this way, different types of combinations will cause Chloe and Ryan (the heroes the player controls) to shoot, recover from injuries, defend from hostile offensives, or even improve their weapons' effectiveness. 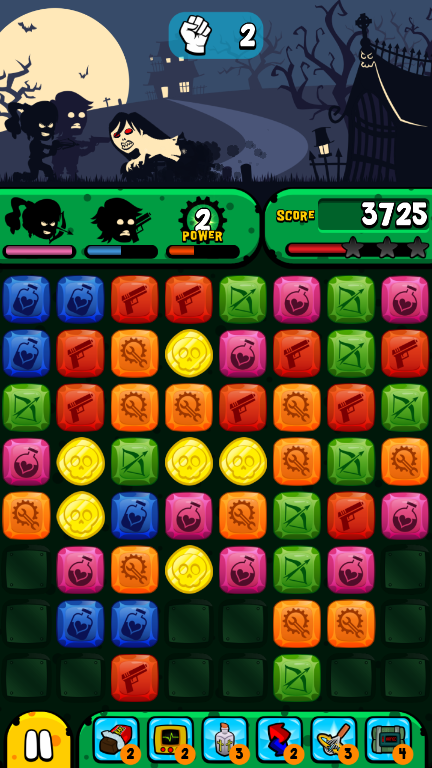 With one hundred exciting and action-packed levels distributed in three distinct game modes, ranked online tournaments, and dozens of board pieces, enemy types, and boosters available to the player, Match 2 Kill constitutes the ideal title for players looking for a new and original challenge in the field of mobile puzzle games. Oh my goodness! Look at this mess! 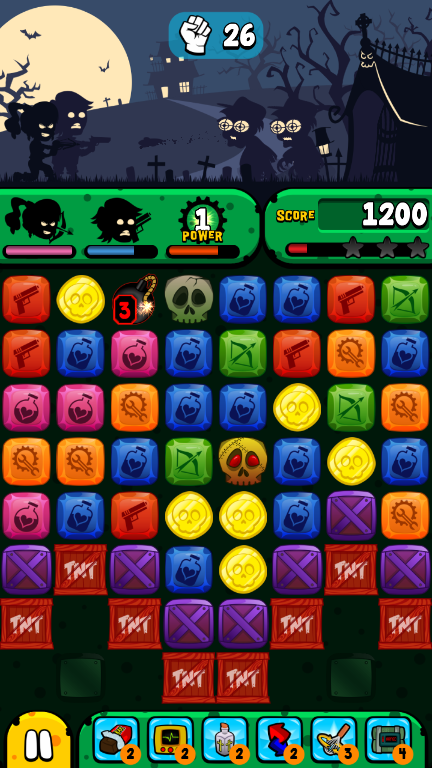 Make no mistake, Match 2 Kill is the most amusing and naughtiest match-3 puzzler you could ever have hoped for. Yes, we know you are an expert at matching candy. And that getting three gems in a row holds no secrets to you. No one's arguing that. But it won't be worth much here! Join Chloe and Ryan in their adventure through the most insane places as you help them exceed the different goals in each one of the game's challenging levels. We warn you now, it's not going to be easy: the levels are infested with adorable zombies eager to sink their teeth into our heroes! You'll barely have time to catch your breath! 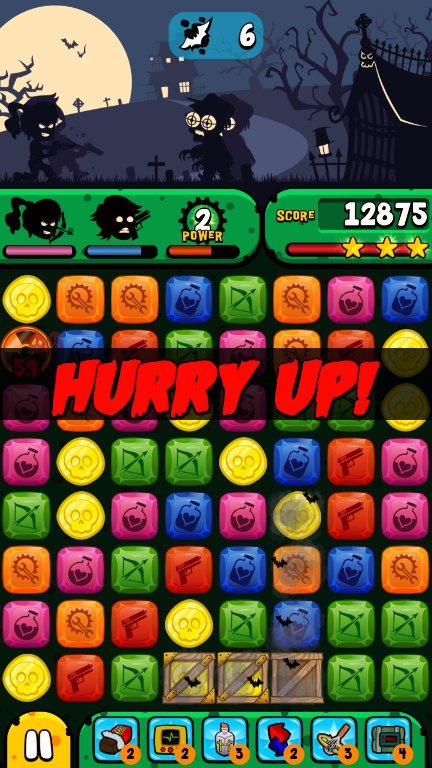 Those little monsters won't let you take it easy, you'll have to think fast! 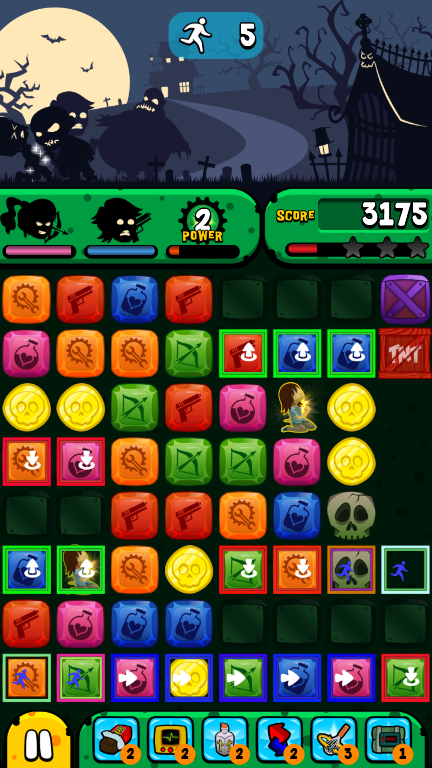 Match the board tiles in order to defend yourself, heal your heroes, or enhance your fire power in really frenetic combats. And remember to leverage your boosters, they may eventually tip the balance in your favor! Now, forget about turns: everything works real-time here. 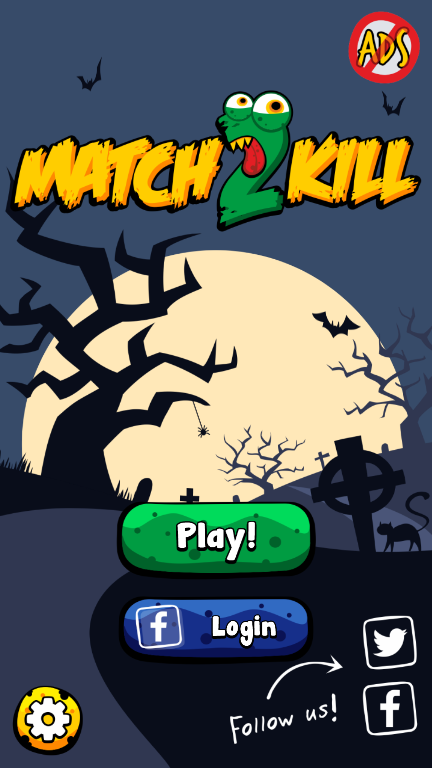 Match 2 Kill is the ultimate action-puzzler! And even though you may sometimes feel like playing on your own, you'll be able to share the experience with your friends while you all compete for the highest score. Would you like some more? Match 2 Kill also offers very addictive online tournaments where you'll be able to compete against your friends and the rest of the community in a survival game mode in which you have to get the highest score while your heroes stay alive for a certain amount of time. These are ranked tournaments where an Elo rating system helps build a global ranking and places players into one of multiple rank tiers. Furthermore, each tournament awards trophies and juicy prizes: intense rivalry guaranteed! And we have saved the best for last! Match 2 Kill is FREE. Although the game has some optional paid elements, it can be enjoyed entirely without them. 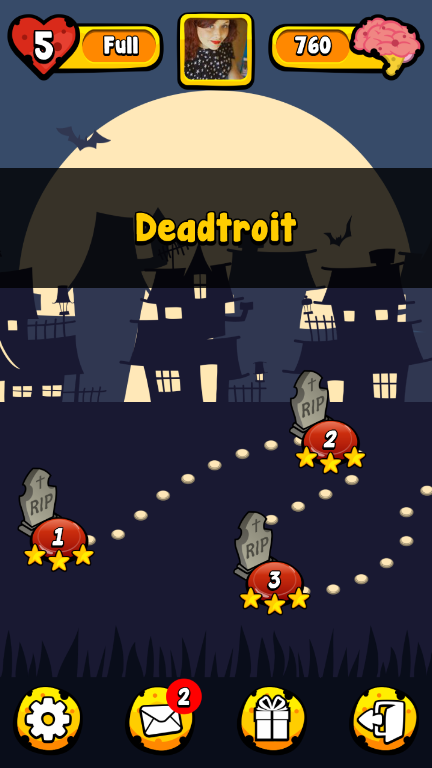 Beautiful HD graphics with cartoon style, cute zombies and spooky, catchy music themes. Fast-paced real-time action: no turns and no limited number of moves. 4 different and frightening game modes, each with its own set of goals and super addictive gameplay. Distinct zombie enemies that will force you to stay alert, each with their individual behaviour and attack patterns. 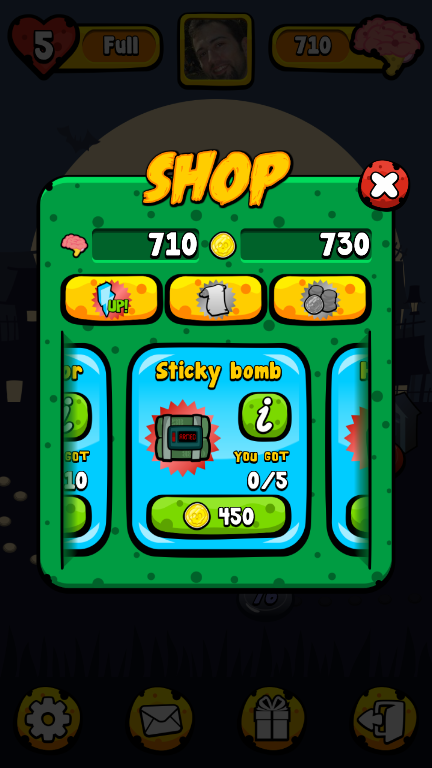 Use different types of combinations (match 4 or 5 gems in different shapes) to trigger devastating drilling and incendiary attacks, or to protect yourself with invulnerability and regeneration. History mode with lots of interesting, challenging levels with dozens of different pieces and gameplay mechanics. 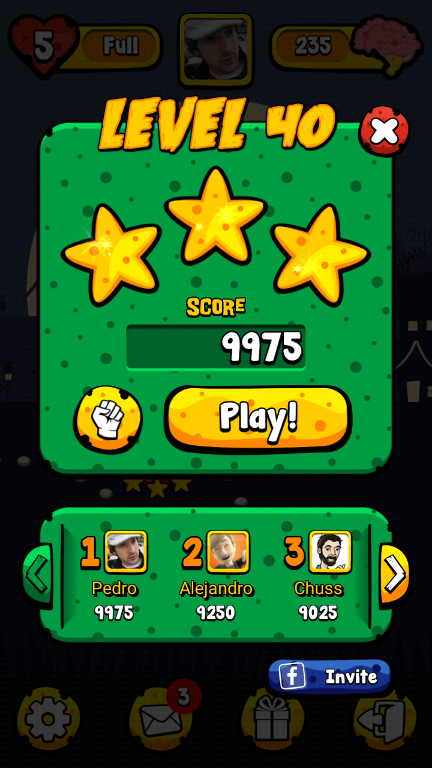 Tourneys mode with ranked multiplayer tournaments, rank tiers, prizes and a global ranking of all players. 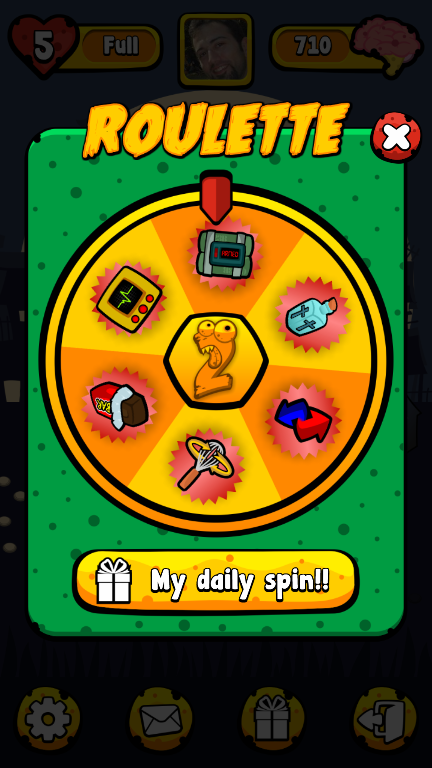 Collect awesome boosters in the daily bonus wheel to keep those zombie hordes at bay. Login with Facebook so you can sync your progress across your mobile phones or tablets and preserve it between installations, and compete against your friends for each level's best score. 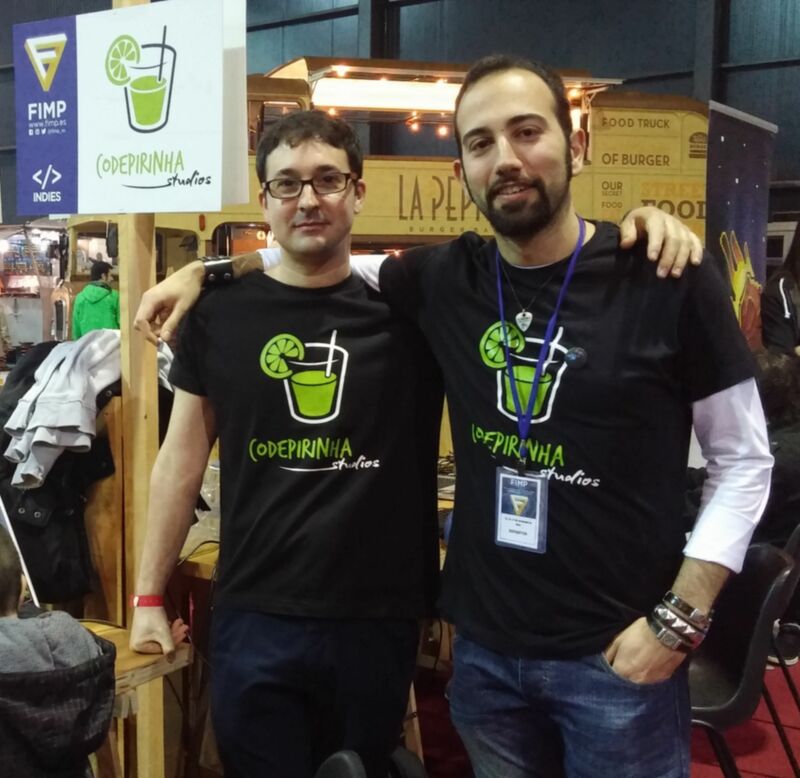 CodePirinha wishes you a screamingly funny adventure! 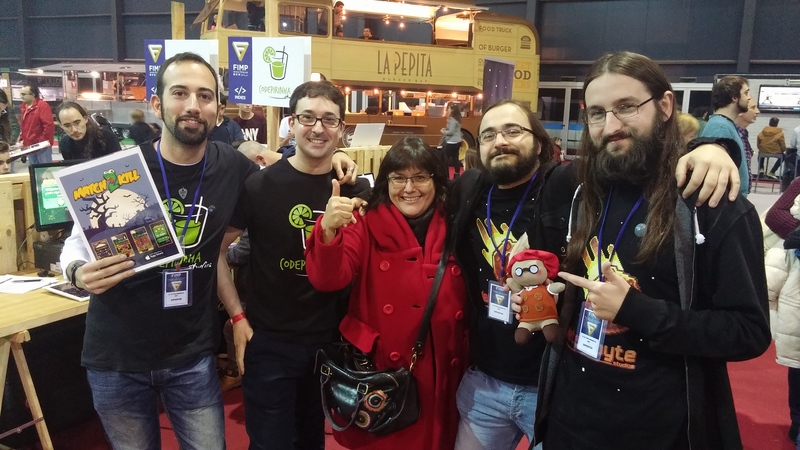 Even though its team members have been previously involved in professional video game development, Match 2 Kill is the debut game from developer CodePirinha Studios as its own brand. The game is intended to set the desirable quality standards to pursue in future projects, with the aim of turning attention to detail into a recognizable hallmark. 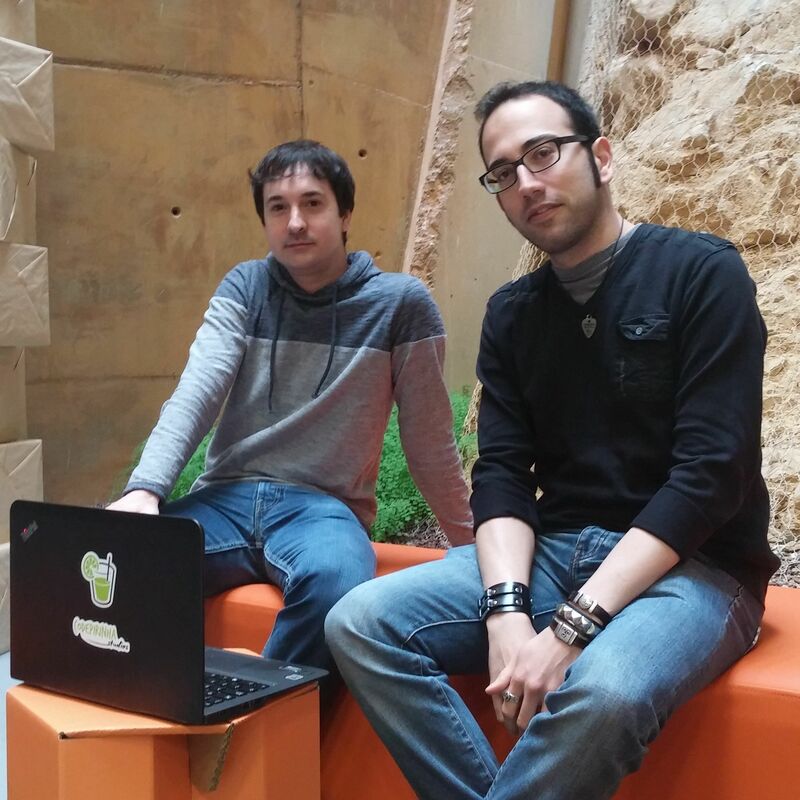 The game's development, starting in May 2015, has been entirely carried out by the only two team members of the studio, taking over the complete game design duties, as well as everything content-related (2d art, music, level design, etc.). The adopted business model is the widely known Freemium model, offering the chance to play the whole game free of charge, but providing certain enhancements through in-app purchases. Additionally, rewarded video ads are used granting different bonuses to the player in exchange for watching, and also forced video ads are shown at specific times but can be done away with via a permanent in-app purchase. CodePirinha hereby grants permission for the dissemination of audiovisual content from Match 2 Kill through video broadcasting platforms (YouTube, Twitch.tv, etc. ), for any commercial or non-commercial purposes. 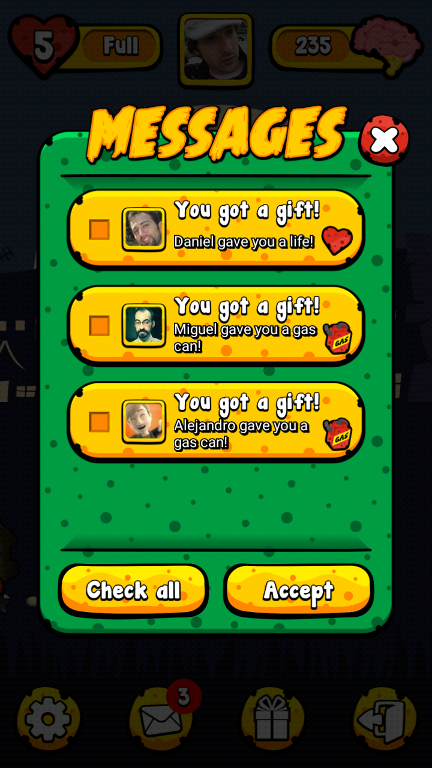 Attribution is kindly requested by referring to our website (codepirinha.com), or to the corresponding distribution platforms from where the game can be legally downloaded. 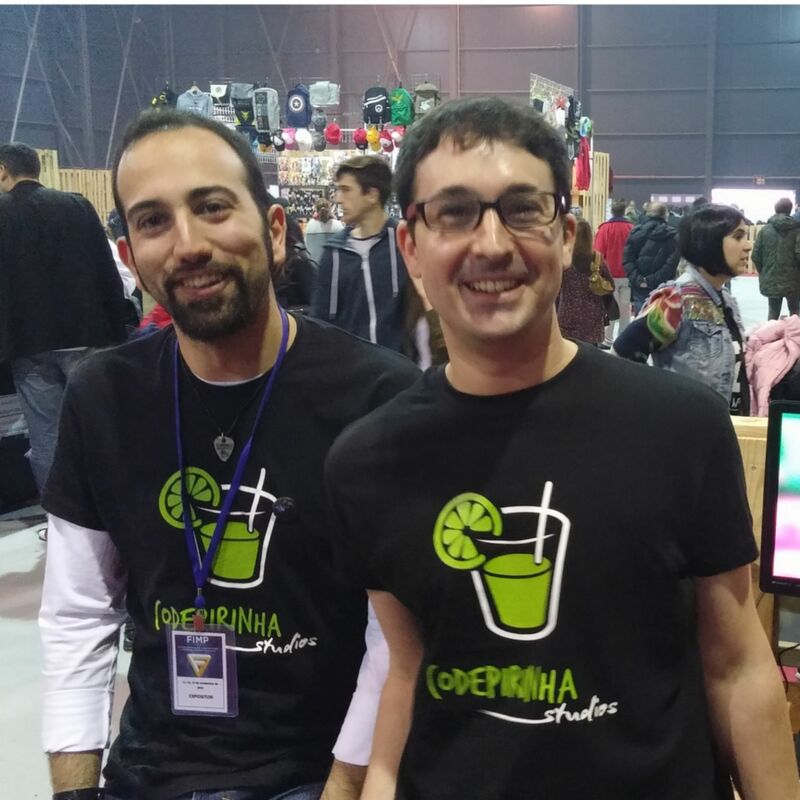 CodePirinha is an indie game development studio located in Asturias, in the north of Spain. 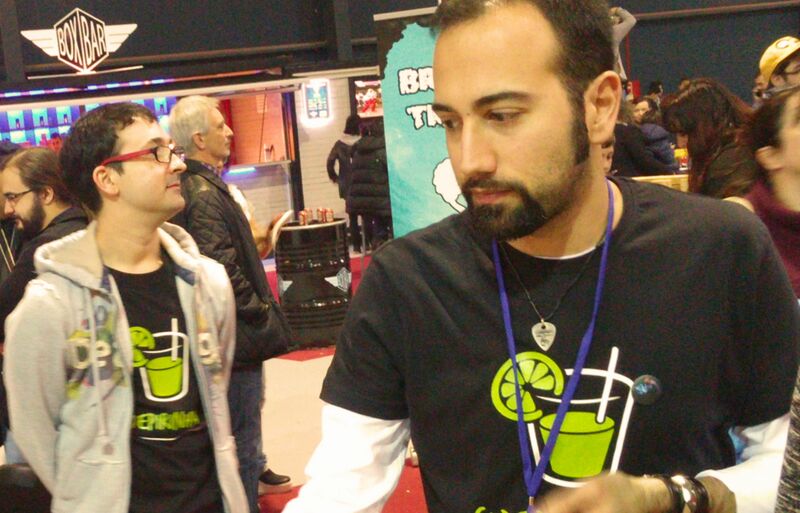 Our team is composed of its two founding members: Daniel Ruibal García and Pedro Ramos Díaz. Development, game design, 2D art & animation. Development, level design, music & sfx.